A monument commemorates the centenary of the naming of Mount Muirhead by Charles Bonney in 1839. 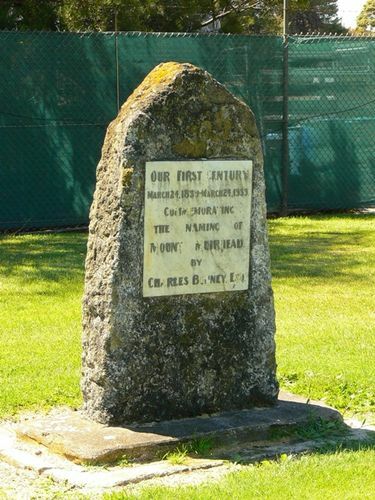 The first pioneer to really open up the South East was Charles Bonney who, in 1839, in company with nine Europeans and two Aborigines brought 300 cattle, several horses and two bullock drays overland and in the process discovered and named Lake Hawdon, Mount Muirhead and Mount Benson. March 24 1839 - March 24 1939. Commemorating the naming of Mount Muirhead by Charles Bonney Esq.